The Ardon Creek Tasting Room will be closed on Sunday April 16 for Easter. Come out and try some Ardon Creek wine at the Schnucks in Bettendorf. 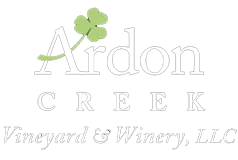 Friday, April 21 3:30-6:30 p.m.
Come out and try some Ardon Creek wine at Fareway in Marshalltown. Saturday, April 29 11:00 a.m. - 2:00 p.m.